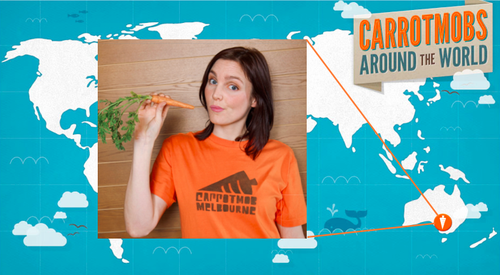 Helen Barclay co-founded Carrotmob Melbourne with Ying Hu in 2010 and has been Carrotmobbing ever since. Her hope is to inspire others to make Carrotmobs happen all over Australia! 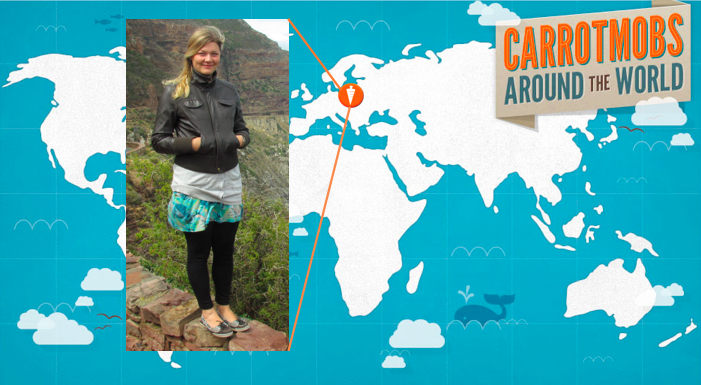 We asked Helen about what she loves about Carrotmobbing. 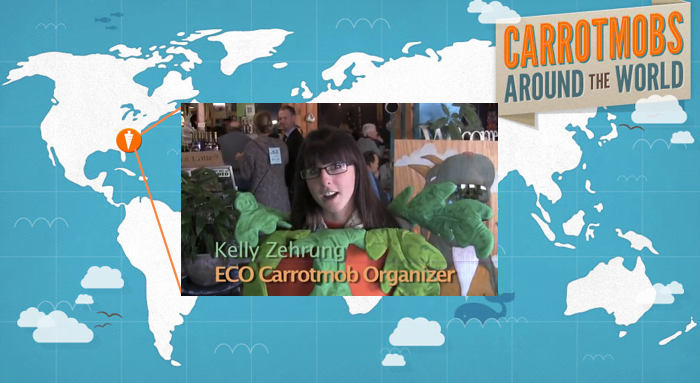 A: I Carrotmob because it brings together my interest for business and the environment. I was first inspired by the win-win situation that Carrotmob creates. Having studied business and with a keen interest to do something good for the world, it was something I wanted to make happen in my community. A: I love meeting new people and Carrotmob has got me out there mingling with some really interesting and inspiring people - it’s probably one of my favorite parts of a Carrotmob campaign.